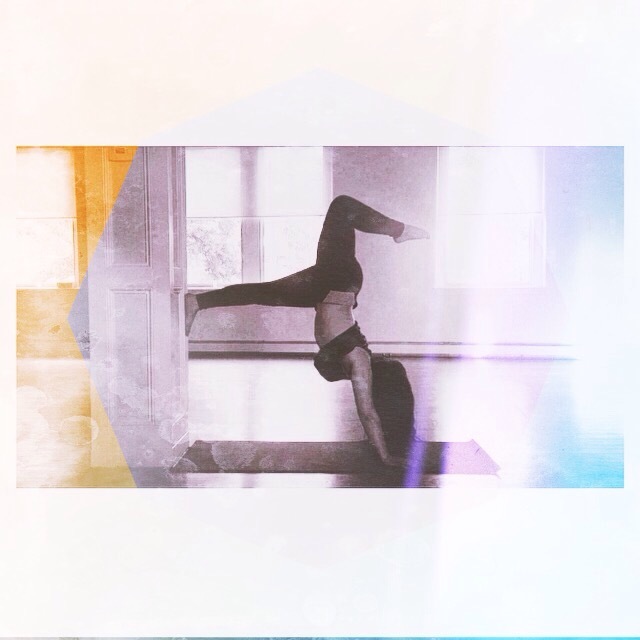 Kripalu 200-Hour Yoga Certification: I Did It! Bliss, serenity, fulfillment and love are the first words that come to mind when I think of my 200-hour Kripalu yoga graduation ceremony. I am overwhelmed by emotion and ecstasy. I contemplated being a yoga instructor for six years but never thought I was capable enough, thin enough, skilled enough etc. My fears of inadequacy and the unknown held me back from pursuing my passion. After exploring dozens of graduate school programs with little gravitation toward any of them, my mind painted an image of what my own yoga class would look like. I vividly imagined the methodically threaded posture sequence, the fun music, and the deliberate language I used to guide my students. My mind played this scene on repeat for months. That’s when one day I decided to pursue my passion. After four weeks of a life changing immersion program containing crying, laughing, connecting with others and learning more about myself, I am finally a certified yoga instructor. I have absolutely no regrets and can’t wait to see what the future has in store for me. This experience is almost indescribable. The first day was a whirlwind. Upon my arrival I went to a Kripalu yoga class, ate a delicious dinner with two of my new roommates and went to the first program meeting. I was overwhelmed by the forty-something faces gathered in our space, The Shadowroom. The nervous energy was almost tangible. However, even without college-orientation-like icebreakers or structured assimilation activities, I grew to love these people very deeply and very quickly. Everyone, including staff, was compassionate, warm and positive. As the days progressed, we woke up at 5:30AM to attend two hours of yoga (Sadna), ate beautiful breakfasts, had more yoga and lectures throughout the day and typically ended around 6:00PM. Kripalu not only allows space for non-judgmental introverted insight and self-compassion, but also heightens my awareness to my surroundings. I’ve never been somewhere that provides this much comfort, emphasizes self-care, and fosters learning. So basically it’s more than I ever expected. I guess Kripalu (or Crypalu) really is the Yogi’s Ivy League. 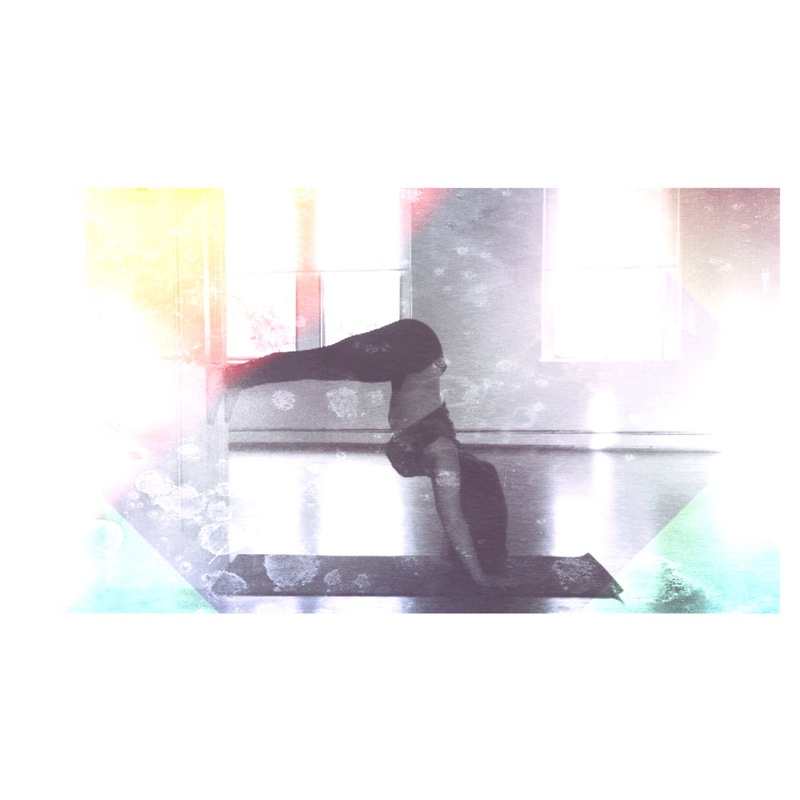 I didn’t realize how much I love Hatha yoga, I hope to bring this practice’s structure home with me! I packed way too much. Before college my idea of makeup was flavored chapstick. Once I was exposed to the world of going out, Cosmopolitan and adulthood I discovered the beautiful world of Sephora. Now, I do not leave the house without a stitch of makeup on my face. Somehow, I even end up to my 5AM shift with eyeliner, concealer and mascara. Why do I feel the need to wear makeup at every moment of the day? A lot of the time I play with makeup for myself, but is the onyx eyeliner I wear to the gym really for myself? 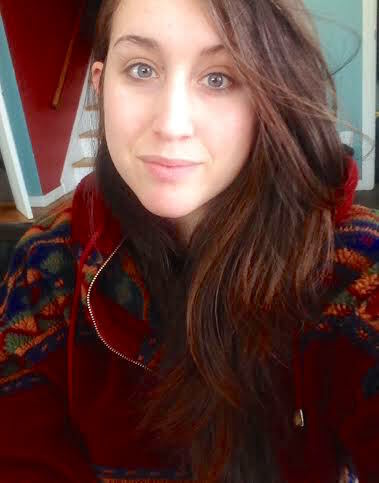 That being said, my new goal is to feel more comfortable in my own skin and really “face” myself. Get it? I love puns. Although I don’t even brush or blow dry my hair, I definitely confess to a dimension of superficiality when I slather on my Jergen’s Natural Glow self-tanning sprays and lotions. Also, when I get ready for a night out I play with shadows, lipsticks, maybe cake a few shades of foundations on my face and top it off with fake eyelashes. If it scares you, it might be a good thing. As I’m planning for my future, I realize the things that will make me happiest have the most unknown factors. It’s time to go beyond your fear and live without regret. It took a lot for me to apply to Kripalu’s 200-hour yoga certification. I was terrified: would I be good enough to get in? Am I going to be a good teacher? Is it practical to spend my money on this when graduate school is on my radar? Go beyond fear, take a chance, and great things will come. Remember when you were a child and bravely, confidently stated what you would be when you grew up? That child lacked fears or constructs that held him back from believing in his goals. 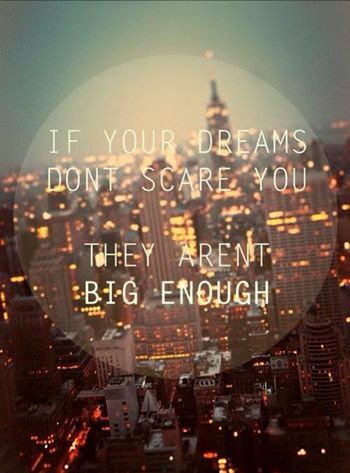 This is a friendly reminder to dream big. Go after it. What’s unique about Kripalu’s 200-hour Yoga Teaching Program is that I will be living on the grounds for 28 days, eating three vegetarian meals a day and do an insane amount of yoga things. Kripalu is so organized; they sent me two very helpful packets explaining how to maintain my health before and during the program. Here are the things I will be aiming for during the next twenty days. Setting meal times now will help my internal clock adjust to the scheduled meal times at Kripalu. I already wake up for 5AM shifts for work, I just need to learn to get enough rest. This isn’t college anymore; no more all-nighters. I’ve been doing insanity videos and running a lot lately, now that the date is approaching I need to refocus on my yoga practice. 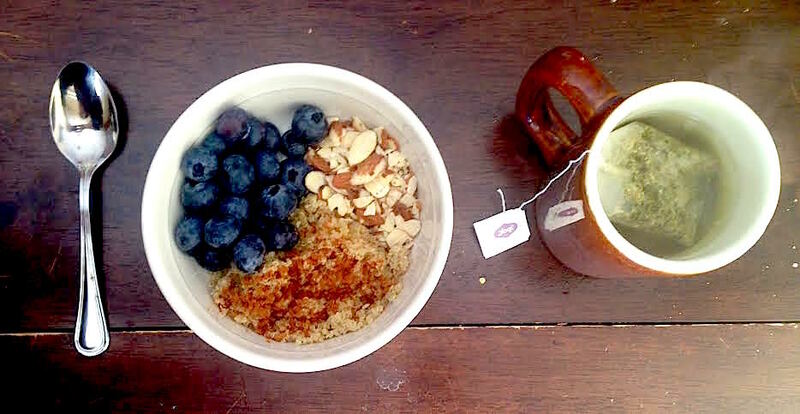 Three vegetarian ingredients for breakfast: quinoa, almonds, blueberries. I’m excited to meet like-minded people, learn more about myself and pursue something that I love. However, I’m nervous that I won’t excel or perform as well as I’d like. I’m also anxious to see how the workload and rigid schedule will work for me. Above all, the word surreal comes to mind. It’s so surreal that the date is approaching!